The whole gang is here! 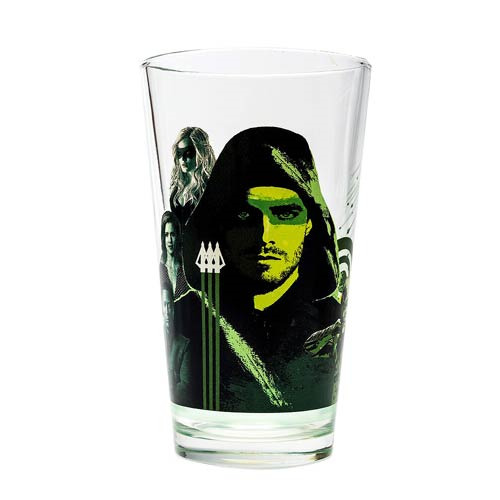 This Arrow Cast Toon Tumbler Pint Glass features an image of all your favorite characters from the hit TV show adaptation about the Green Arrow! Holds up to 16 ounces of liquid. Hand wash only. Not dishwasher safe. Do not microwave. Glass measures approximately 6-inches. Ages 14 and up.